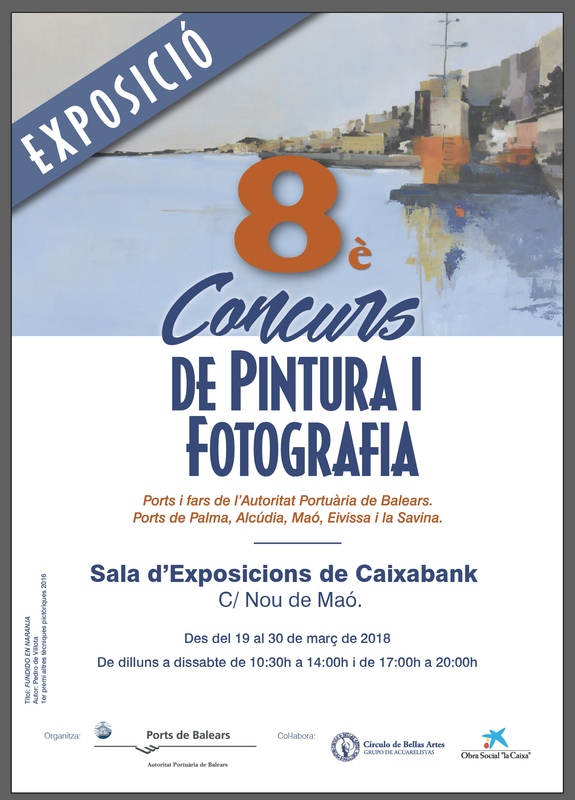 The Port Authority of the Balearic Islands (APB) will exhibit, from 19 March, the winning art pieces and those submitted by participants in the Painting and Photography Contest in Menorca. The contest, now in its eighth edition, receives a high level of interest, with over 300 works entered from all of the islands. The challenge consisted of depicting one of the ports of general interest in the Balearic Islands or one of their lighthouses. The winning pieces, specifically the second prize in the Other Painting Techniques category, is inspired by the Port of Mahon and is titled Casa Venècia. Port de Maó, by Josep Plaja López, a piece that will be on display together with the others at the Caixabank Exhibition Hall in Mahon between 19 and 30 March. The works are divided into three categories: Watercolour, Other Painting Techniques and Photography. Out of those that entered last October, one hundred works were short-listed and exhibited in Palma at Christmas, with a warm reception from the public. For the eighth consecutive year, the APB has sponsored this competition dedicated to the lighthouses of the Balearic Islands and to the ports of general interest of Palma, Alcudia, Mahon, Ibiza and La Savina, with the aim of capturing, by means of visual art, the popular interest that is aroused by places as ordinary and unique as ports and lighthouses and paying special tribute to them as parts of cultural heritage. 19 - 30 March 2018.